This year’s activity saw a special guest presentation from Reverend Dr Carl L. Washington Jr, Pastor of the New Mount Zion Baptist Church, Harlem, New York, United States of America. The activities got underway with the singing of the Territorial Song along with a recital of the Territorial Pledge, after which there was a cultural presentation followed by the Scripture Reading, given by Minister Videll Charles of the Mount Caramel Baptist Church. 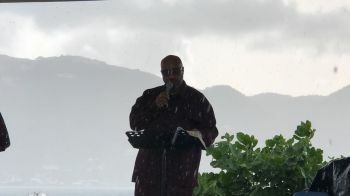 Reverend Dr Melvin A. Turnbull, gave the opening remarks for this year’s annual Virgin Islands ‘Sunrise Service’ and gave way to Guest Speaker, Dr Washington Jr, who delivered the 2018 Emancipation Sermon. 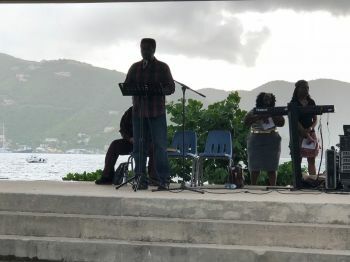 He also spoke at the Sunday Morning Well activity—another of the traditional VI Emancipation Observances.